TÍTULO ORIGINAL: The pirates! Band of misfits. 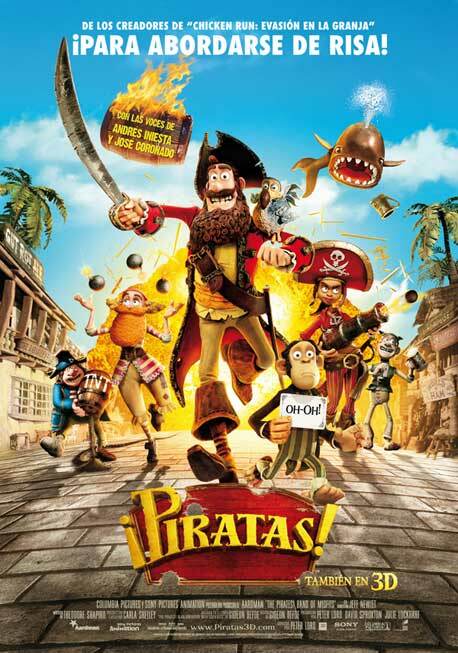 REPARTO: Doblaje original: Hugh Grant (capitán pirata), David Tennant (Charles Darwin), Imelda Staunton (reina Victoria), Martin Freeman (pirata con pañuelo), Jeremy Piven (Black Bellamy), Salma Hayek (Sablazo Liz), Anton Yelchin (pirata albino).